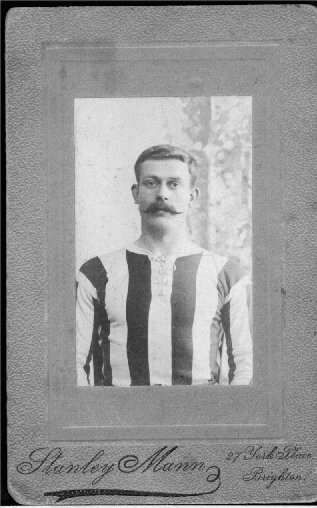 This gentleman is Jack Breeds photographed in a football strip. The photograph is dated 1906. Jack Breeds was born in 1880. He lived in the Elm Grove area before moving to live above the Breeds’ fish shop in Richmond Street. If anyone can let me have any information on Jack I would be very grateful.